Home » Articles about our Treatments » Erase Your Mistakes, At Least From Your Skin! Erase Your Mistakes, At Least From Your Skin! Getting a tattoo is one heck of a commitment. I admit, I don’t actually have one myself. I’ve always thought that if I’m going to go ahead and get a tattoo, that it better be something of such great significance that I won’t regret having it on my body for the rest of my life. Can you erase your mistakes once they are done? Let’s have a look. 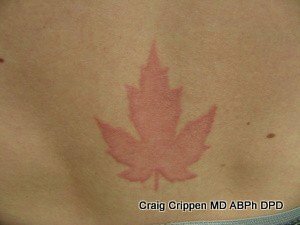 Erase your mistakes with laser tattoo removal: A Real DermMedica patient. So many options, so few good ones” is what I’d keep saying to friends who ask me why I don’t have any tattoos yet. Even though the ever-popular “your child’s name” keeps popping up as a suggestion (I have no kids, by the way), I kept thinking about how creeped out I’d feel if I knew my mother had tattooed my name somewhere on her body. That didn’t stop my friend Sara from getting her boyfriend Mark’s name tattooed alongside a heart with wings (so original, right?) on her left shoulder. “It’s as close to my heart as I can get it” she explained of the tattoo’s location. Oh, wait, did I say “boyfriend”? I meant “ex-boyfriend”! Erase your mistakes by looking into how to remove this kind of thing. A few months ago, when Mark and Sara officially called it quits, she was heartbroken. I’d inject a “pardon the pun” here, but it isn’t quite a pun at all. Sara was completely distraught over what to do about the ink that seemed forever embedded on her upper back. “What am I supposed to do now?” she kept asking. In all honestly, I didn’t have much of an answer for her. I really didn’t know much about tattoos, let alone tattoo removal. It’s a good thing we looked into it though. Sara is a great friend and a wonderful person but I’d be lying to you if I said that she is a good judge of character. Mark was a nice guy, but I can’t say I was his biggest fan. He just never gave me the impression that he was as into Sara as she was into him. I mean, to my knowledge, he didn’t have any “Sara” tattoos to get rid of. So, needless to say, I was incensed when I learned that Sara was trying to get back with him. Rebuilding the relationship, it seemed, was thought to be a less inconvenient way to solve the unwanted tattoo problem. Not that I needed to convince her of otherwise anyway, but her plans were immediately foiled. Mark had moved on, no doubt on his way to having another girl make a huge mistake. You CAN erase your mistakes, sometimes at least. Thankfully, for Sara, tattoo removal isn’t as harrowing as one may think. A tattoo’s ink sits in the dermis layer of the skin. 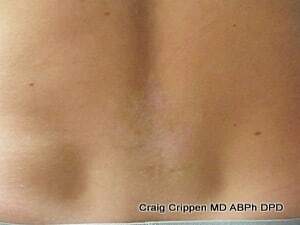 The removal process utilizes a laser that breaks up the ink particles, helping to dissolve the tattoo – and any misjudgments you may have once made. With the painless procedure behind her, Sara is now working on getting over the pain of a broken heart. And she’s doing quite well actually. She’s seeing someone new. And she’s seeing things clearer as well. She insists that there are no tattoos of a boyfriend’s name anywhere in her future!